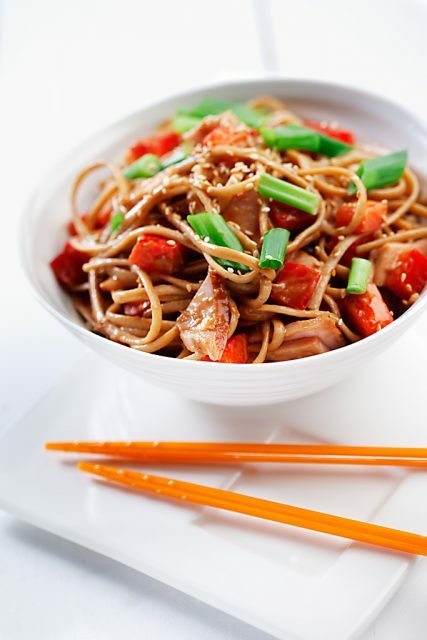 Mediterranean flavours and zesty relish make this utensil-free dinner a snap. Slow cooking locks in the spice while the yogurt cools down this dish. Spoon on some relish and let’s eat! Pour canola oil into a large frying pan. Quickly brown chicken thighs on both sides, over medium-high heat, about 2 minutes per side. Transfer to slow cooker insert. Sauté onions until soft in the same frying pan. Add to slow cooker. Combine remaining ingredients in a large bowl. Pour over chicken thighs. Cover pot and cook on high for about 4 hours. ***NOTE: There are many variables in slow cooker sizes and heating capabilities. Adjust timing of the recipe to your own slow cooker. Combine all relish ingredients in medium bowl. 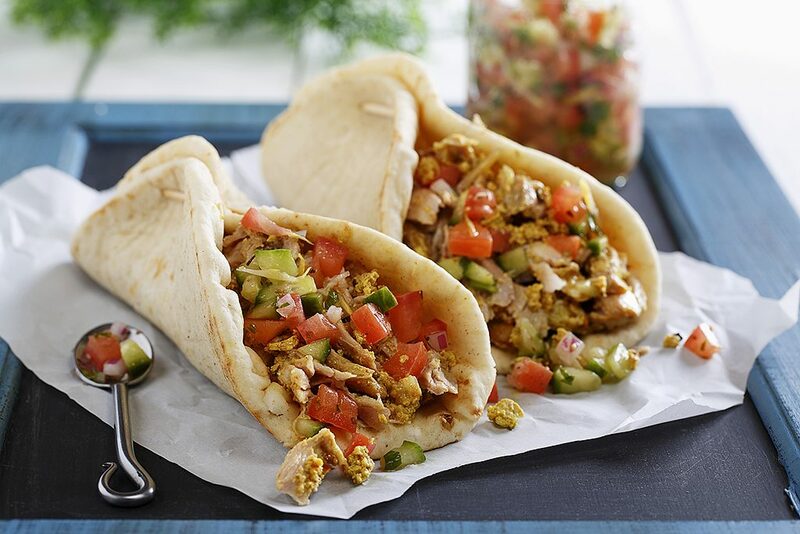 Fill pita breads with chicken shawarma, top with relish and enjoy!